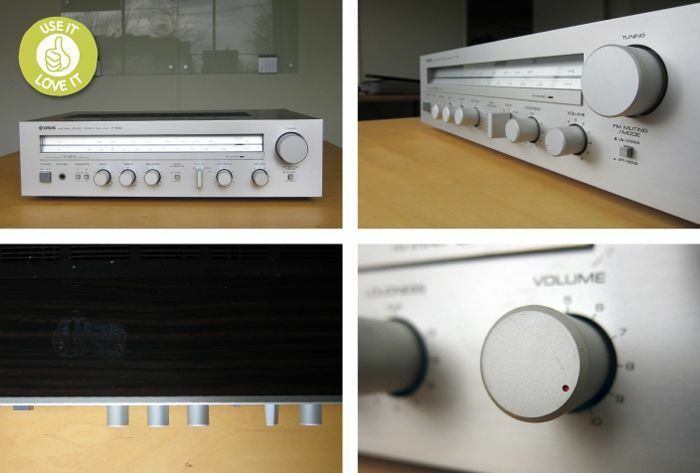 I recently found this gem at a garage sale, a vintage Yamaha Receiver R-300. What a beauty it is with qualities that are hard to find in today’s products. The visual language is high end but yet understated with a clean and balanced layout. The haptics are wonderful with smooth indexing in the controls and the dials chamfered edge feels just right with the anodized finish. I love the very small but beautiful touch of colour, a precise recessed 2mm diameter bright red dot marking the dials position. And the best part, its in great working order. A real prosumer product before prosumer was coined a market category.